Posted on March 5, 2018 by Landon Whitesides wrote in Landscaper's Guide. It has 0 Comment. Here’s 3 reasons quaking aspen should be on your next plant list. 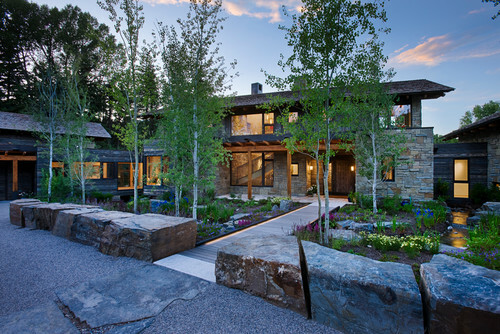 Quaking aspen is a great tree for all seasons. Winter time is especially great for quaking aspen in a yard. It’s stark white bark stands out from the rest of your landscape and gives your yard a beautiful native look against both snowy yards and frozen landscapes. Spring and summer bring a beautiful green shade tree to the yard with small leaves offering filtered shade for hot summer days. Fall time brings a stark yellow color to contrast with the red and brown of other shade and ornamental trees. Quaking aspen are known for how quickly they grow and for how short their life span is. 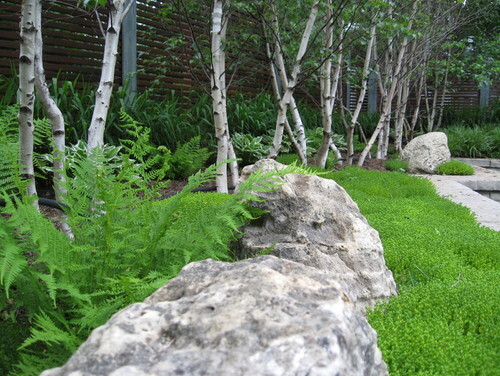 Many people will shy away from planting an aspen because they think that it will grow quickly and die. On average aspen trees can live from anywhere from 20-30 years and get up to 70 feet tall in some cases. But, according to a recent housing study, the average family stays in their home for only 13 years before moving to a different home. This means that the majority of the time, aspens will largely outlive your stay in a home and in some case live to provide shade and beauty for up to two families. And unlike a maple or oak, when you plant a small 10-15 gallon aspen, you can have a mature, shade-providing tree in as little as 3-5 years. It’s no secret that aspen are one of the hardiest trees you can grow. With a zone ranging from 1 to 7, aspen can grow in 60% of the United States. 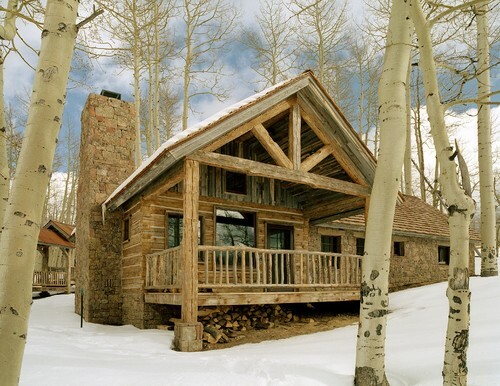 Because of it’s hardy nature, the aspen tree is a great option for areas with lots of wind, cold, snow and climates of a volatile nature like Denver, or Wyoming. Through all of this aspens will regularly out perform other shade trees like maples, honeylocust and oaks. Over the years aspen have gotten a bad name for a number of reasons but what we tend to forget is that all trees have there pros and cons. It’s important to keep an open mind when creating plantings and providing substitute options for architects. 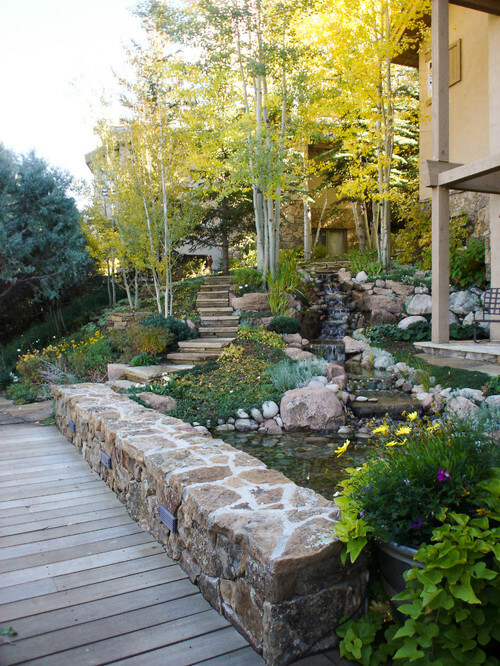 Quaking aspen can be a great option in a lot more plantings than are being specked right now. 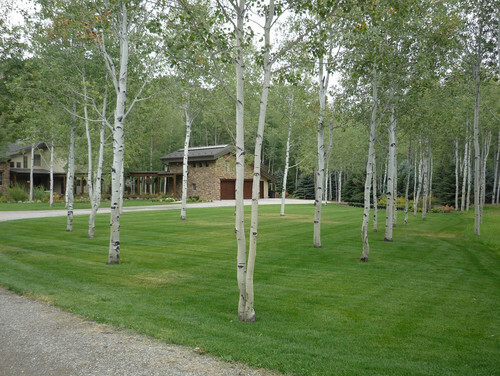 Next time your looking for a fast growing and beautiful tree, look no further than quaking aspen.